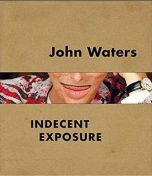 "Role Models" is filmmaker John Waters's self-portrait told through intimate profiles of favorite personalities--some famous, some unknown, some criminal, some surprisingly middle-of-the-road. From Esther Martin, owner of the scariest bar in Baltimore, to the American playwright Tennessee Williams; from the atheist leader Madalyn Murray O'Hair to the insane martyr Saint Catherine of Siena; from the English novelist Denton Welch to the timelessly appealing singer Johnny Mathis--these are the extreme figures who helped the author form his own brand of neurotic happiness. "Role Models" is a personal invitation into one of the most unique, perverse, and hilarious artistic minds of our time.